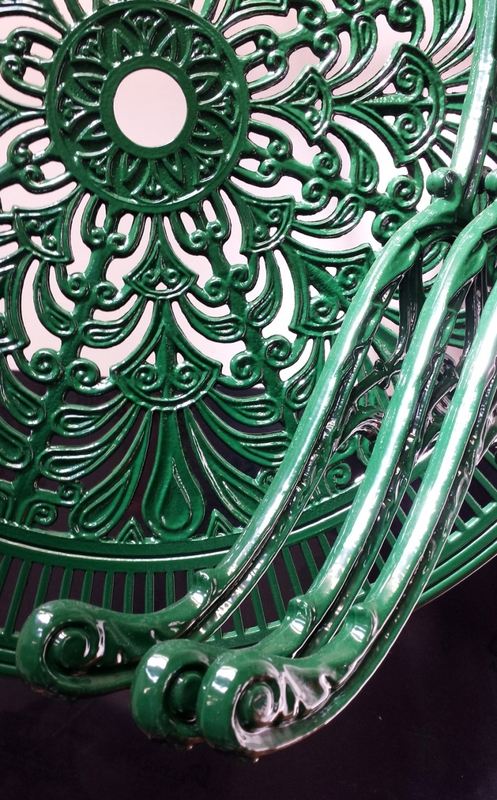 We can blast-clean and paint/powder-coat a huge range of pieces in our workshop, from door handles and fireplaces to garden benches and driveway gates. The appropiate type of blast cleaning removes old paint and any corrosion or rust present, then pieces can be recoated as appropriate. 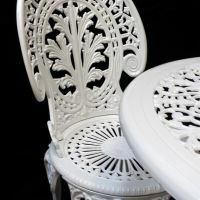 Articles for the home can be painted or powder-coated depending upon the nature of the item, colour choice, material etc...Most items for long term outdoor use, such as cast iron garden furniture and gates, are usually coated with an anti-corrosive epoxy primer and 2-pack polyester top coat paint system. We are able to blast clean large pieces in our 5 metre custom blasting room, and smaller pieces in our hand cabinets. 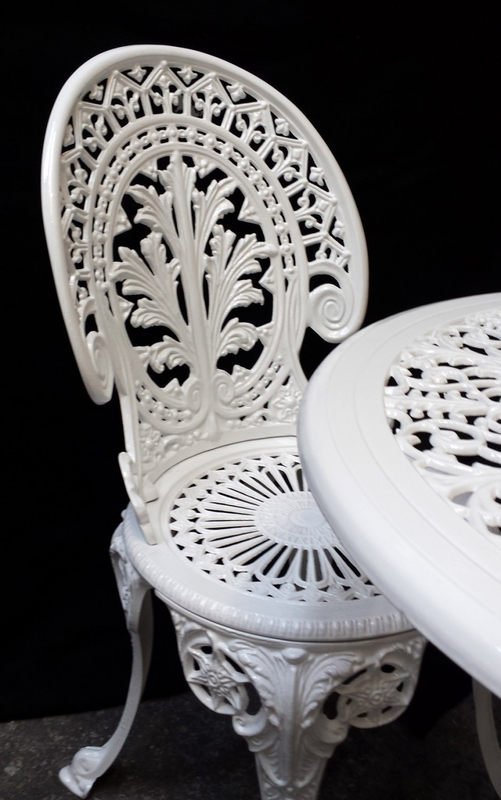 Prices vary depending upon the preparation and blasting needed and the finish required. Turn-around times vary too since we batch pieces together which require the same treatments, in order to keep costs low. 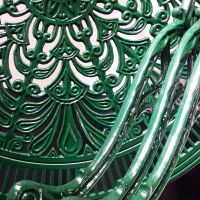 We can usually estimate prices over the phone, but for a better appraisal drop in to the workshop or email photos. For very large items it is sometimes possible to pay a site-visit or arrange collection and delivery (though a charge may apply).